The ANE District is committed to encouraging our congregations to support and participate in the work of Brethren Disaster Ministries. Within the ANE district there is a disaster response network, comprised of Area Coordinators and Local Church Coordinators, within the Atlantic Northeast District of the Church of the Brethren. The purpose of this network is to increase awareness of Brethren Disaster Response Ministries and ANE Disaster Response. Congregations are encouraged to organize groups of up to 15 volunteers who are able to travel and commit to one week of serving with the BDM rebuild program. To volunteer please contact Robert Eisemann, ANE District Disaster Coordinator, by phone at 717-733-7413 or email. 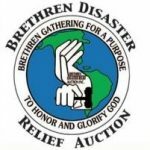 Travel costs for ANE congregations who travel to BDM work sites under the coordination of our District Disaster Coordinator, Robert Eisemann, may be reimbursed by funds from the Brethren Disaster Relief Auction and the Helping Hands Benevolence Fund. 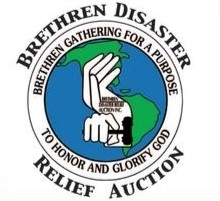 The Brethren Disaster Relief Auction, Inc hosts an auction every 4th weekend in September. Please visit their website to learn more on how you can volunteer! For more information about ANE Disaster Ministries, contact Mary Etta Reinhart, ANE District Director of Witness and Outreach by phone at 717-808-4306 or email.